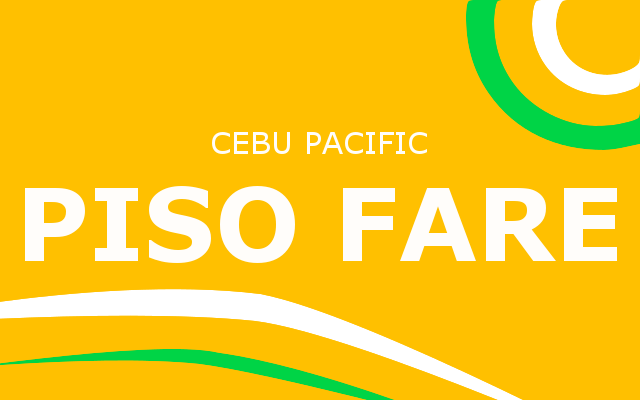 Cebu Pacific Will Hold Piso Fare Tonight! If you have a Cebu Pacific app, then you might have received a notification saying that Cebu Pacific will hold a 1 - Peso Fare promo or commonly known as Piso Fare promo this evening at 12:00AM, December 24, 2018. 1. List down any flights you wanted to book. 2. Check the calendar for 2019 and see the holidays next year. 3. Most importantly, check your budget and see how much you can spend for a holiday trip. By doing the above things, you can prevent yourself from booking unnecessary flights. You can also tune in to www.cebupacificair.com. Kota Kinabalu, Brunei, Taipei, Kuala Lumpur, Incheon, Bangkok, Hong Kong, Bali, Hanoi, Siem Reap, JakartaNote: Except for Hong Kong, all the rest are from Manila. Hong Kong promo is for flights coming from Cebu. The seat sale is open for booking until October 6, 2018 while the travel period is from January 1 to March 31, 2019. To avail, just key in the word "VISA" in the promo code section. The promo poster is shown below. After months of rumors as to the design and features of the next-generation of Apple iPhones will look like, it was finally revealed last Wednesday (Tuesday in US) September 12. Apple announces the release of three new iPhones: iPhone Xs, iPhone Xs Max and iPhone Xr. I will not talk much about the features of these new phones but here's some that I found interesting. Xs Max us like the Plus version of older iPhones. It's the bigger iPhone Xs.Xr is the new low-end iPhone. The only major difference between this and the iPhone Xs's is the screen. This one is LCD while the iPhone Xs's are OLED.Dual SIM support - Nano + eSIM. 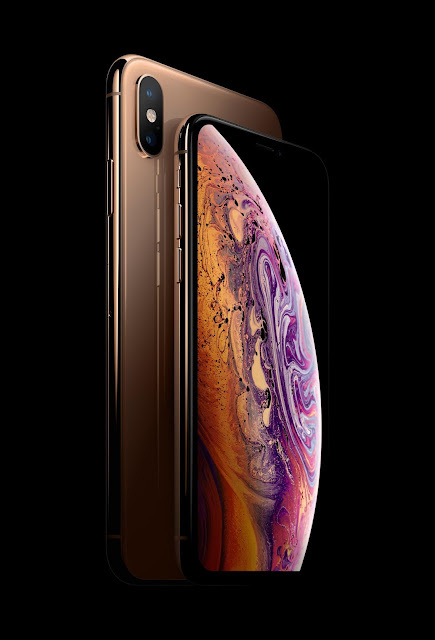 If you want to know more about the features of this new iPhones, you can visit Apple's website. 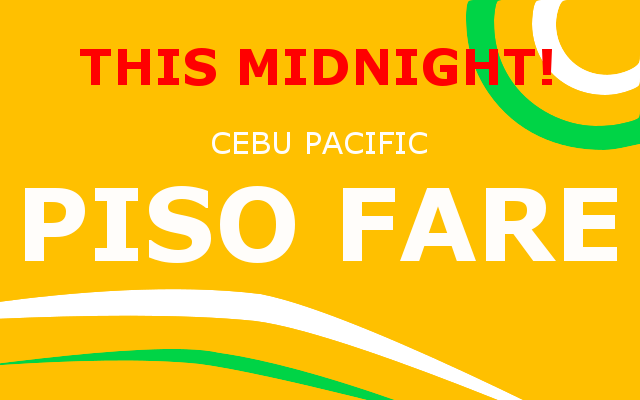 Cebu Pacific is about to reveal another edition of their famous PISO FARE seat sale promo this midnight. While there's not yet details as to the travel period, you may now start planning your trips late this year up to next year. 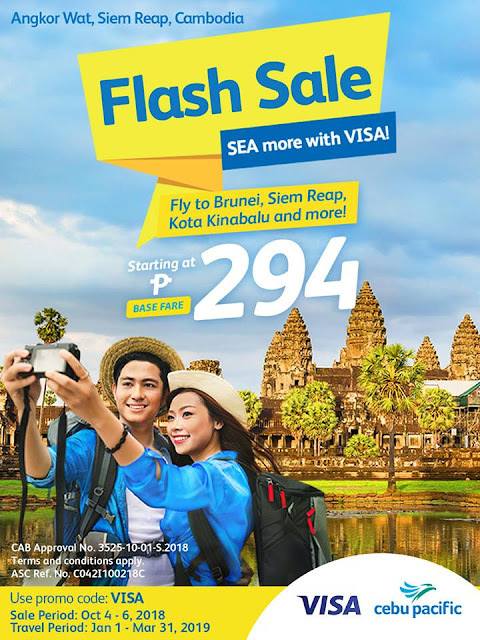 About Piso Fare Piso Fare is the brainchild of Cebu Pacific, once an unknown airline more than a decade ago, now the largest Philippine airline company flying Filipinos domestically and directly to Asia, Australia and the Middle East. Piso Fare is initially a literal one-peso all-in fare promo. I remember in 2009, I flew from Cebu to Manila for just one peso and all I need to pay is the bag and the terminal fee. Recently through, Piso Fare came to be just the base fare. The taxes, admin fees, terminal fees can add up pretty quickly and the all-in fare without baggage can be jabout 1000 pesos. But still, that's a significantly lower fare compared to regular ones.